ROSEBERTH station is one decent rain from plenty and four months from dire straits, grazier Geoff Morton says. The massive station near Birdsville in the state's southwest has been drought declared for seven years. It's been hanging on from water that has come down the Diamantina River that fell up in Winton in March. But only half the property is fed from there - the other half is bone dry and empty. But if the rain doesn't come by the end of the year, even that side will be bare. Mr Morton said he hasn't given up on good rain - over the decades he's been on the property he's seen it fall in every month of the year. He said the drought relief was needed to keep towns alive. Without the towns, "cockies" like him would have nowhere to go for workers when the good times returned. "We went into drought in 2012," Mr Morton, 63 and the fourth generation on the station, said. "We've been staggering along for a while. "We haven't had an average rainfall since 2011. "We had 42mm for the whole year last year. The average is 156mm. And we've had 30mm so far this year, in one storm. "Some places on the station haven't had rain since August 2016, not one drop. "If it hasn't rained by the end of January it will be pretty diabolical then. We've probably got to the end of the calendar year. Early storms are my hope. Traditionally the wettest months are February, March. We can get storms any time. "But there's no time of year that I haven't seen a good rain at some time. Graziers are optimists by nature." 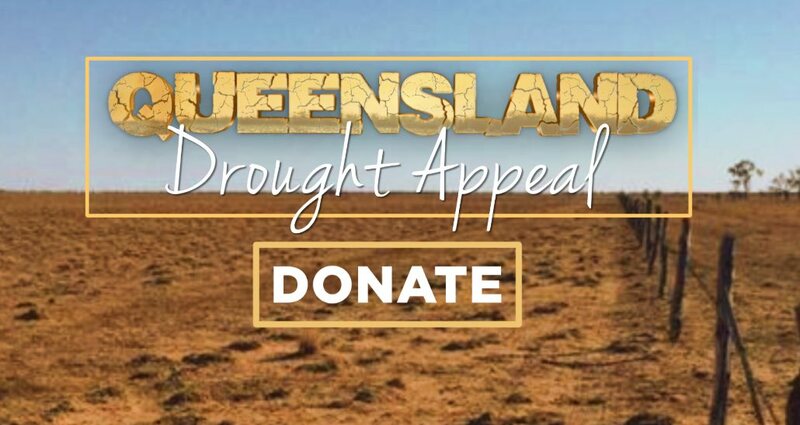 The Queensland Drought Appeal, organised by the CWA with backing from The Courier-Mail and Sunday Mail, 7 News and the Ekka, has so far raised $497,000. Mr Morton said cash could help struggling families pay for day-to-day necessities. "Cash was the best way to help because then they go and spend that cash in the local town. That helps everybody. You can help the cocky as much as you like, but if you aren't helping the town too, that's his source of labour for when things come good, schooling for his kids, everything." "The worst thing people do is bring stuff out, bringing out truck loads of food and clothing. That does nothing. "They've either got to give them vouchers they can spend in the local town, or cash And they will go to the local town, because they are doing it hard so they aren't going to spend extra money to go to the next town." The Palaszczuk Government yesterday announced it would bring forward $8 million in drought relief spending promised in the Budget and boost funding to existing relief programs by $1 million. Premier Annastacia Palaszczuk appointed two drought commissioners to inform her about the effectiveness of drought assistance programs. Donate at qlddroughtappeal.com.au or SMS "Drought" to 0484 200 200.
premium_icon Is Pizza Capers about to be gobbled up?